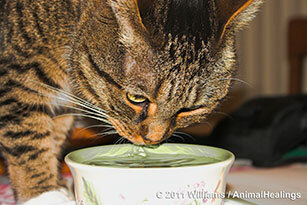 Pet Blog: New Pet Article: Water Water Everywhere - What to Give My Pet? New Pet Article: Water Water Everywhere - What to Give My Pet? What Can You Do About Pets Separation Anxiety? Missing Cat Home After 8 Years - Microchip! Great Cat Video - Tux Cat Stunned By Mirror!